The change in total nonfarm payroll employment for December was revised from +196,000 to +219,000, and the change for January was revised from +157,000 to +119,000. 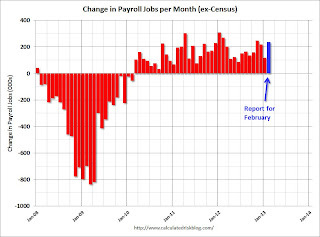 The headline number was above expectations of 171,000 payroll jobs added. 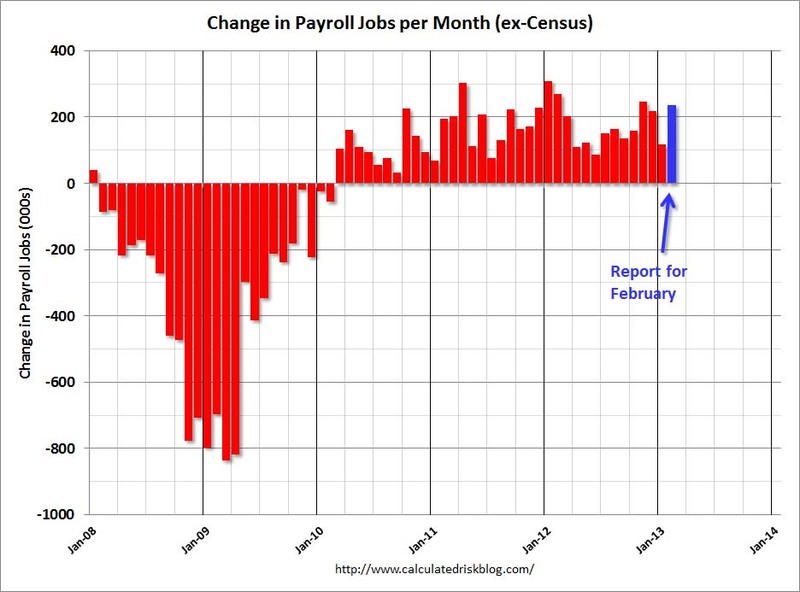 Employment for January was revised lower, but jobs added in December was revised higher. NOTE: This graph is ex-Census meaning the impact of the decennial Census temporary hires and layoffs is removed to show the underlying payroll changes. 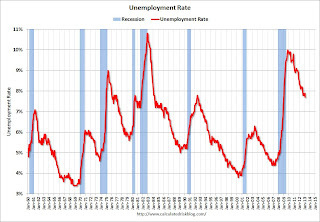 The second graph shows the unemployment rate. The unemployment rate decreased to 7.7% from 7.9% in January. 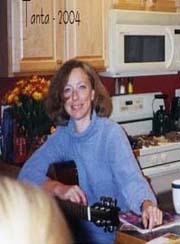 The unemployment rate is from the household report and the household report showed only a small increase in employment. The Labor Force Participation Rate decreased slightly to 63.5% in February (blue line. This is the percentage of the working age population in the labor force. 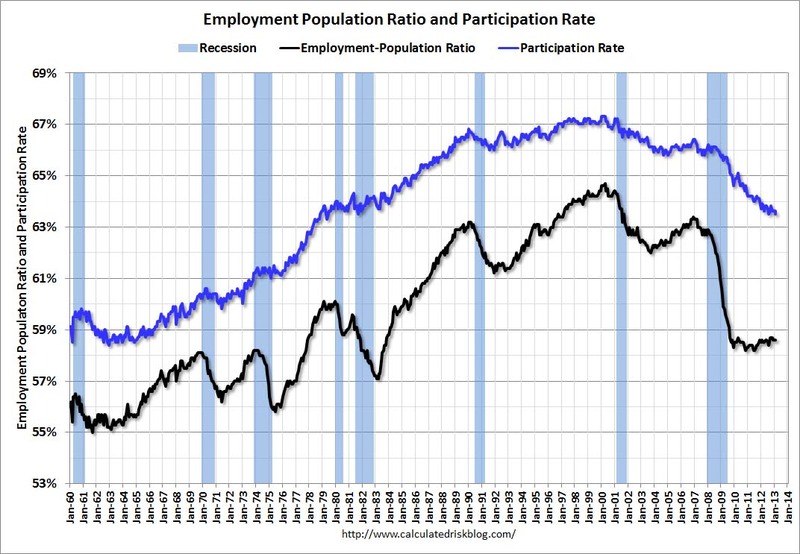 The participation rate is well below the 66% to 67% rate that was normal over the last 20 years, although a significant portion of the recent decline is due to demographics. The Employment-Population ratio was also unchanged at 58.6% in February (black line). 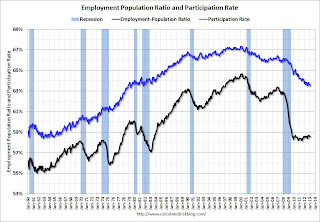 I'll post the 25 to 54 age group employment-population ratio graph later. 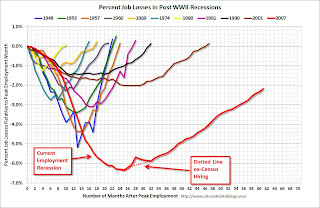 The fourth graph shows the job losses from the start of the employment recession, in percentage terms, compared to previous post WWII recessions. 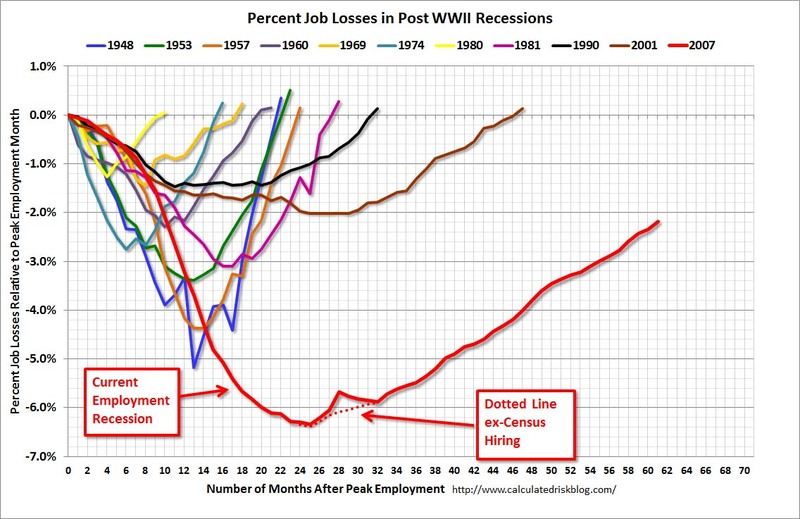 The dotted line is ex-Census hiring. 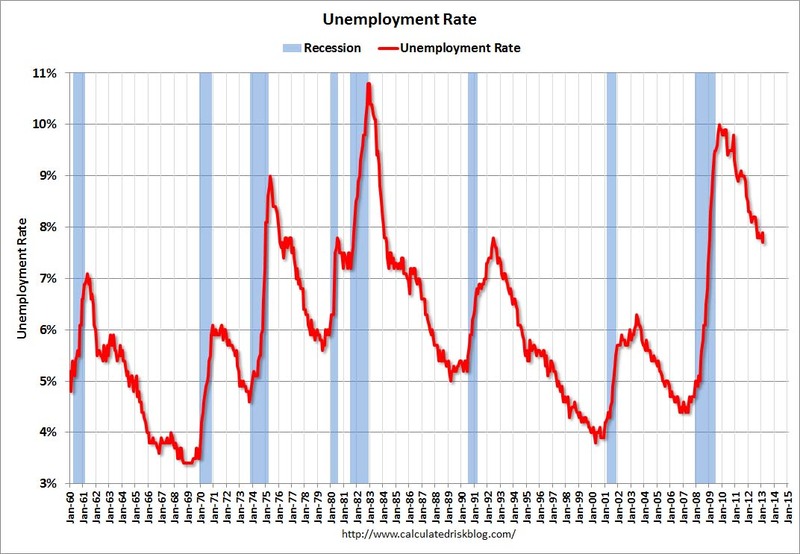 This shows the depth of the recent employment recession - worse than any other post-war recession - and the relatively slow recovery due to the lingering effects of the housing bust and financial crisis.